You've got to hand it to Chesapeake Energy's (CHK) CEO. Whatever else you say about the man, Aubrey McClendon is no slave to public opinion. He does what he wants, no matter how sleazy it sounds, no matter what other people think about it -- and no matter how much money it costs him ... or his company's shareholders. The latest big news is the transaction McClendon engaged in to try to grab for himself a bigger slice of his company's profits. You see, Chesapeake gives its CEO the right to buy a 2.5% interest in the gas and oil wells the company owns. Oil wells don't come cheap, though, so to take advantage of the offer, McClendon borrowed big -- as much as $1.1 billion, according to reports -- and pledged his ownership interests in the wells as collateral. Let's be crystal-clear about what's happening here: The man who runs Chesapeake, who determines how many wells Chesapeake will drill, is borrowing money and using it to invest in these wells -- personally, for his own account and not for any benefit of his company's shareholders. McClendon says this is all kosher, that there's no conflict of interest involved. But in fact, there is. 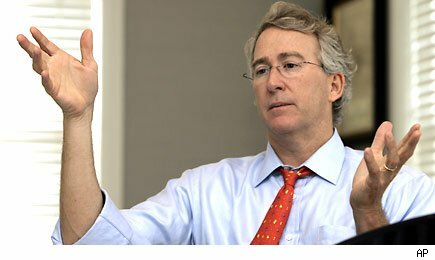 As the boss at Chesapeake, McClendon has the power to decide whether wells will be drilled, and how many wells to drill. He's done a lot of drilling, by the way, and put Chesapeake in hock to the tune of $10.5 billion to do it. If he hadn't run the company into so much debt, of course, there would be fewer wells for him to invest in personally. Is that a conflict? Sure smells like it. Gallery: America's 10 Highest Paid CEOs: Which Are Worth the Money? This is not the first time that McClendon has mixed business with, well, personal business. In 2008, McClendon gambled big on the chance that his company's bets in natural gas would pay off. He took out margin loans from his brokers to fund the purchase of millions of shares of Chesapeake stock. When the stock market tanked, though, and the value of those shares fell, he was forced to liquidate about 90% of his entire stake to cover his losses -- accelerating the downward trajectory of Chesapeake shares for him and everyone else who invested in the company. This mistake cost McClendon a reported $2 billion in stock losses. As for his shareholders, after a peak-to-trough loss of nearly 75% in share price, McClendon's shenanigans have cost shareholders $31 billion in market cap ... and counting. Does It Pay to Be Amazon.com's CEO? Motley Fool contributor Rich Smith holds no position in any company mentioned. Click here to see his holdings and a short bio. Motley Fool newsletter services have recommended buying shares of Chesapeake Energy.